Yes! Different gameplay! Nice to know they are not carbon copy of Tails & Knuckles. Iizuka: Mighty the Armadillo has a setting of being a strong guy, and he has a hard shell on his back. By making use of that, we made it into a technique to drop vertically to the ground and make it shake. Also, he can repel enemy bullets with the shell, and when he’s curled up he can prevent damage once. Doing a sudden drop to the ground is a rare action in the classic series indeed. Iizuka: Since he’s a flying squirrel, we instantly decided on a gliding action. Although it may be similar to Knuckles’ gliding, Ray can raise up with effort. Depending on the [player’s] technique, he can fly for very long. I'm not gonna lie I kinda wish they added Amy in as a playable character as well, she's not as useless as we think lol. 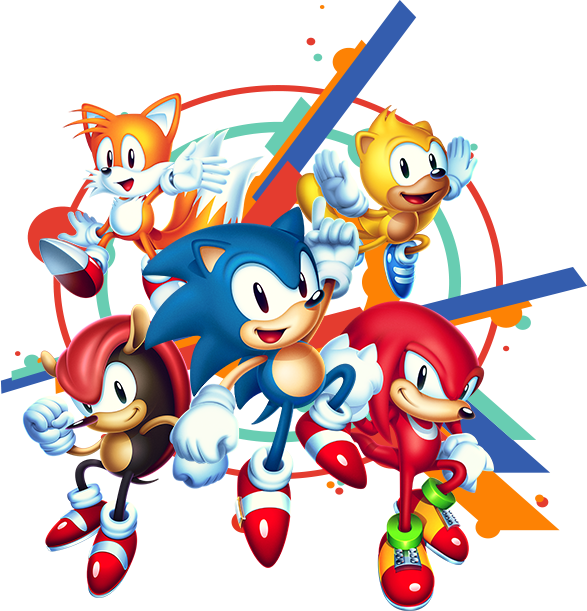 I bet they saved her & the chaotix gang for Sonic Mania 2.